Boyko, John. "Encana". The Canadian Encyclopedia, 09 March 2018, Historica Canada. https://www.thecanadianencyclopedia.ca/en/article/encana. Accessed 24 April 2019. Encana Corporation produces, transports and markets oil and natural gas. It was formed in 2002 through the merger of the Alberta Energy Company Ltd. and the PanCanadian Energy Corporation. Its corporate headquarters is in Calgary, Alberta. In 2009, the company split in two. Encana remained a corporate entity focused on the exploration, production and marketing of natural gas, and Cenovus Energy was formed to concentrate on oil exploration, production and sales. In 2016, Encana Corporation earned $3.9 billion in revenue. It is a public company and trades on the Toronto Stock Exchange and New York Stock Exchange under the symbol ECA. Encana was formed in 2002 with the merger of the Alberta Energy Company Ltd. and the PanCanadian Energy Corporation. However, its origins can be traced to the late 1800s. In 1881, the federal government awarded a contract to the Canadian Pacific Railway (CPR) to build a transcontinental railway from central Canada to Vancouver, British Columbia. Part of the contract gave the CPR ownership of land through which the railway would be constructed, as well as some mineral rights. Two years later, natural gas was discovered on CPR property near Medicine Hat, Alberta. It was not until 1958 that the CPR formed Canadian Pacific Oil and Gas Limited (CPOG) to explore, produce and sell oil and natural gas (see Petroleum Exploration and Production). 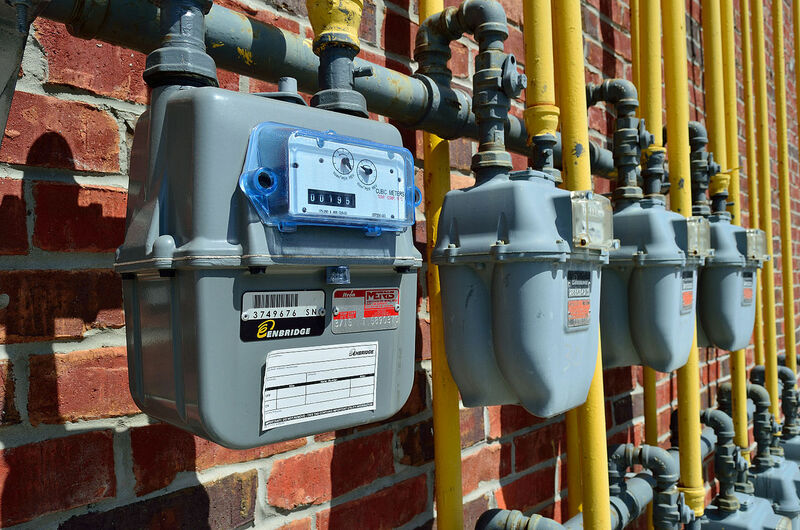 By the mid-1960s, Canadian homeowners and businesses were increasingly attracted to natural gas as an energy source, mostly because it was cheaper than oil. In 1971, to improve its ability to develop its natural gas production, while also continuing to seek profits from oil production, CPOG merged with Central-Del Rio Oils to form PanCanadian Petroleum Limited. The new company was at once Canada’s biggest independent producer of gas and oil. In 1982, it moved its corporate headquarters to Calgary. By the 1990s, it was producing more than 260,000 barrels of oil a day. 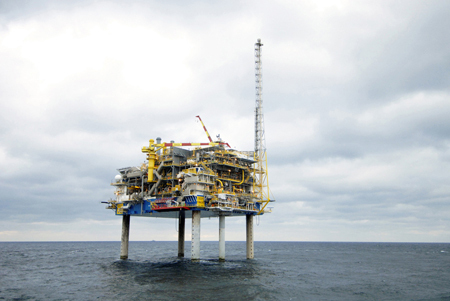 It purchased oil production capacity in many locations in Alberta and in the Panuke oil field off the coast of Nova Scotia (see Petroleum Industries). In 2001, the company changed its name to the PanCanadian Energy Corporation. Its oil production continued to grow in Canada and internationally with a discovery in the United Kingdom. With new carbon sequestration and oil extraction projects, such as that in Weyburn, Saskatchewan, it became one of North America’s largest producers and Canada’s second-largest producer. Canada’s largest producer of natural gas at that point was the Alberta Energy Company (AEC). It was formed in 1973 to explore and expand oil and gas production within a 248,700 ha parcel of land in southeast Alberta. The company was originally owned equally by private shareholders and the Alberta government, but all government shares were sold in 1993. It expanded by purchasing Conwest Exploration Company in 1996 and Amber Energy two years later. In 1999, AEC went international with its purchase of Pacalta Resources, a Calgary-based company with operations in Ecuador, and with its work in Wyoming’s Jonah natural gas field. In January 2002, it was announced that the PanCanadian Energy Corporation and the Alberta Energy Company were merging. The deal was finalized in April and a new corporation, Encana, was created. Encana sought to focus on its strengths and sold several of its underperforming assets. The sales included two Alberta pipelines for $1.6 billion and its interest in Syncrude for over $1.4 billion. Meanwhile, it initiated new oil and gas developments in Alberta, California, Louisiana and Brazil. 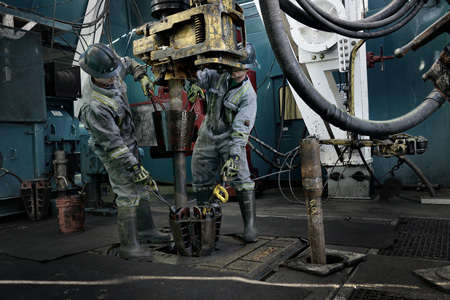 Only three years after its inception, Encana’s daily oil production was 500,000 barrels. Over the next seven years, more small resource companies were bought, and some were sold, with each deal impressing investors and so boosting the value of Encana’s shares. The increasing complexity of the company’s operations led to a decision in 2009 to split the company in two. Encana remained a corporate entity focusing on the exploration, production and marketing of natural gas and Cenovus Energy was formed to concentrate on oil exploration, production and sales. Encana immediately began expanding its natural gas assets. Its American operations grew. Deals were signed with foreign companies including an arrangement with a subsidiary of the Korea Gas Corporation to begin exploration and development in northeast British Columbia. Other agreements were made with a subsidiary of the PetroChina Company, a subsidiary of Toyota Tsusho Corporation and another with Mitsubishi. As these deals came to fruition, Encana continued to buy companies, such as Athlon Energy, and more land, such as 18,400 ha in South Texas. In November 2009, an Encana pipeline burst near Pouce Coupe, in northeast British Columbia. An enormous cloud — more than 30,000 m3 of gas containing 6,200 parts per million of highly toxic hydrogen sulphide — drifted over nearby farms and homes. Eighteen people experienced stinging eyes and many fled the area. 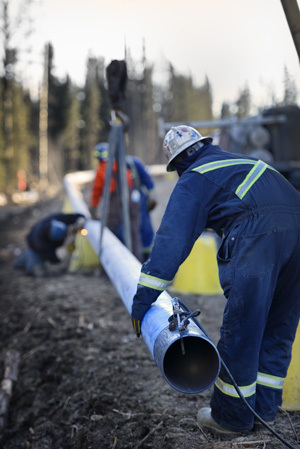 A subsequent investigation by the British Columbia Oil and Gas Commission found that the pipeline had not been properly cleaned before it was activated. Further, the company was accused of not having notified provincial officials of the leak for over eight hours and for failing to follow its own safety-response plan. Encana apologized and promised to take steps to ensure that the mistakes would not be repeated. They admitted that the company had not properly followed its own procedures and explained that 225 wells had been shut down to allow an inspection of its pipelines. Encana also stated that the company was developing new technologies to ensure improvements in emergency shut-off valves. Encana’s reputation suffered because of this incident. While dealing with the British Columbia leak and activist groups accusing the company of damaging the environment, Encana was also forced to react to changes in the world’s energy markets. Many of Encana’s deals were based on the assumptions of experts both in and outside the company who predicted that the price of natural gas would continue to rise. But it didn’t. Several factors led to a collapse in energy prices, including a growth in American shale production made possible through a process called fracking. There was suddenly too much natural gas, which drove down its price. In June 2008, the price of natural gas fluctuated at about $13 per million BTUs (British thermal units), but by mid-2014 the price had dropped by well over 50 per cent. Encana was already feeling the effects of a softening resource market when it undertook a new strategic plan in 2013. Encana focused on production from four of its many assets: Western Canada’s Montney and Duvernay fields and the American Eagle Ford and Permian fields. It lowered production costs, increased liquids production to diversify its product lines, and aligned all operations and its corporate structure to ensure they were consistent with the plan. The effort helped, but the market continued to play havoc with Encana and all other resource companies. In 2015, Encana’s revenue declined by 45 per cent from the year before and it posted a net loss of US$5.17 billion. Early the next year, it raised more than US$1 billion by selling 107 million shares. It planned to use half the money raised to finance its Texas shale production operations. The other half was used to pay down its $5.7-billion debt. The debt was a serious issue because it was above industry standards, and Moody’s, the New York company that assesses a borrower’s ability to make interest payments, had downgraded Encana, which had led to increased borrowing costs. Meanwhile, it continued to sell more operations and consolidate others. It had reduced its workforce in 2014 and in February 2016 announced it would cut 1,600 jobs over three years, bringing its number of employees to about half of what it had been in 2013. Further, Encana cut its quarterly dividends to shareholders from US$0.07 to US$0.015 per share. The price of natural gas remained low. Encana’s bottom line improved, but at the end of 2016 it posted a loss of $944 million. By the end of 2017, its third-quarter report indicated that operating earnings had dropped to US$24 million from US$32 million in the third quarter of the previous year and that profits on its shares had dropped from $0.37 to $0.30 per share.